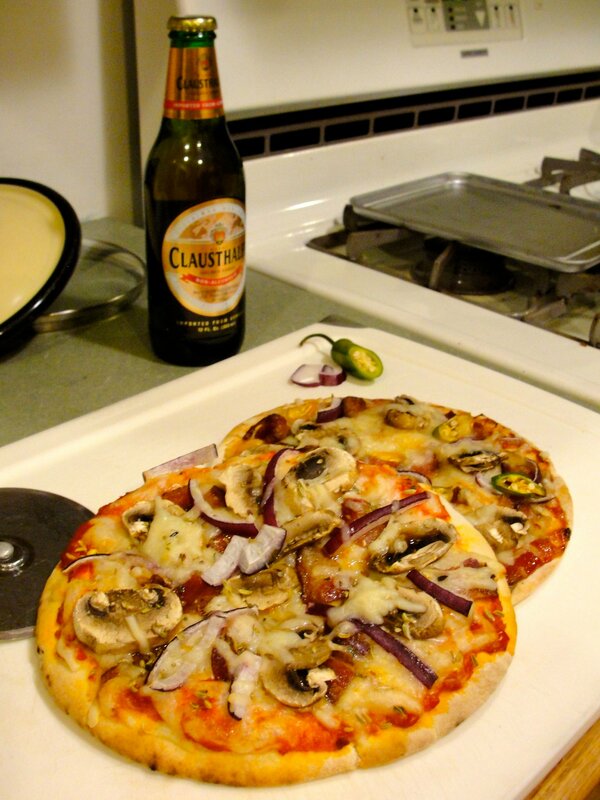 BBQ sauce, garlic, swiss and Gruyère cheeses, applewood smoked bacon, white button mushroom, red onion, and jalapeno. Kyopoolu (sauce), swiss and Gruyère, bacon, mushrooms, red onion, oregano, and fennel seed. Which was better? Hmm, both were awesome, it’s a tie. An aside: I find Clausthaler Golden Amber and O’Doul’s Amber to be the most palatable of non-alcholic beers that are widely available in the states.